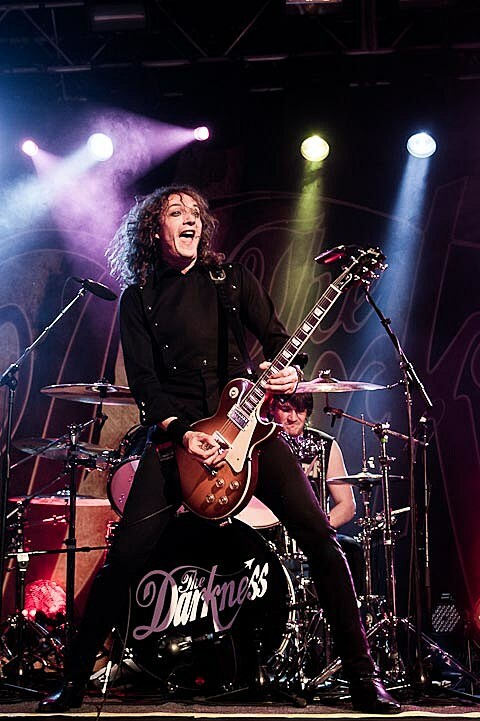 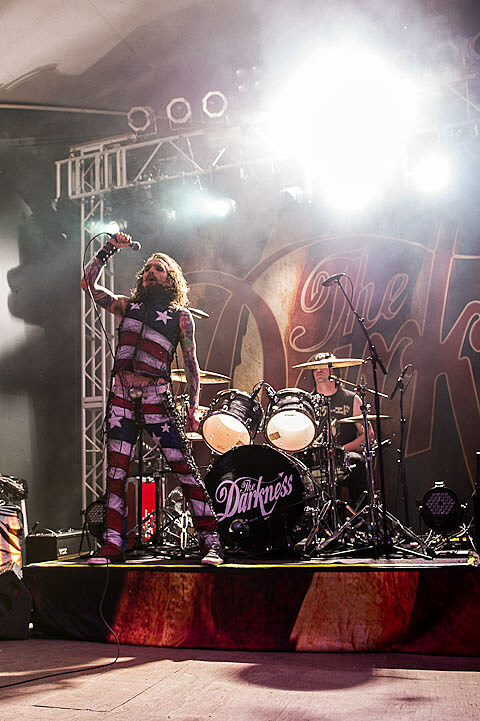 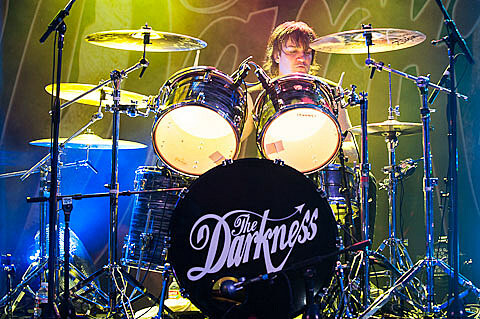 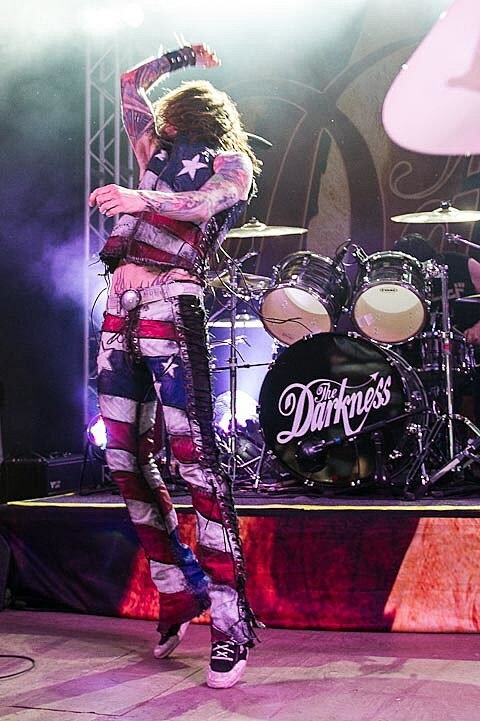 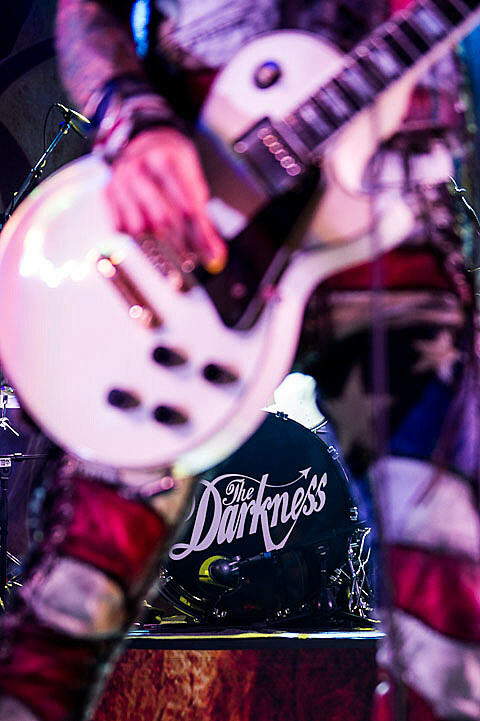 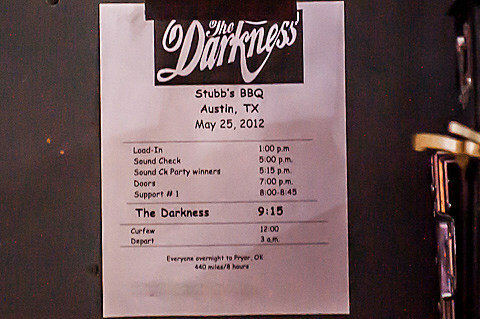 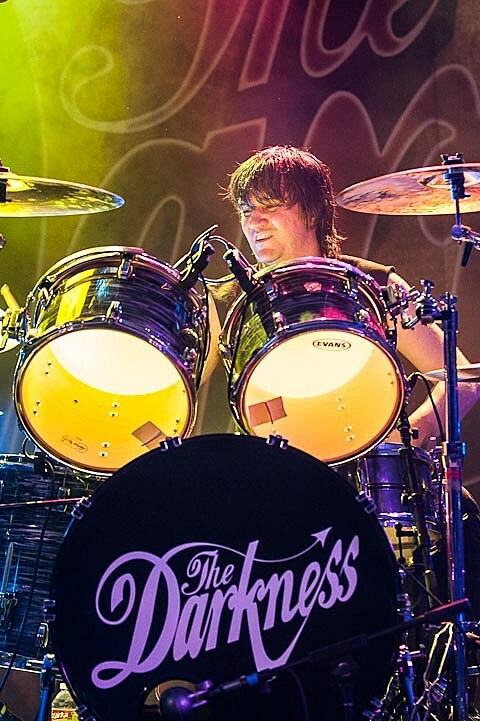 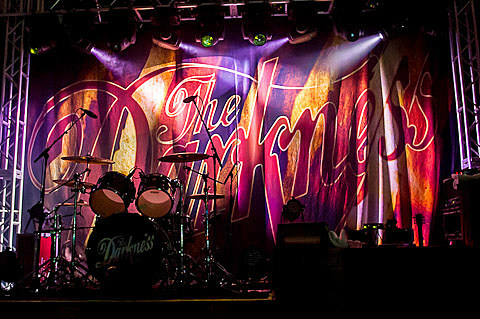 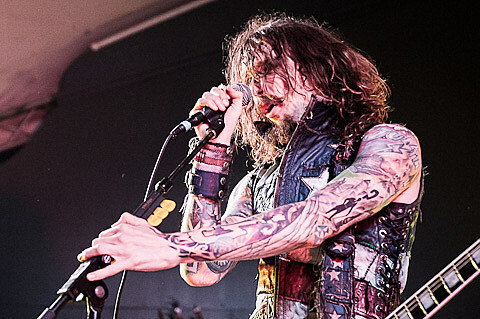 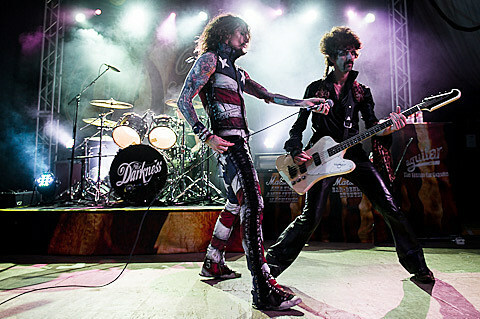 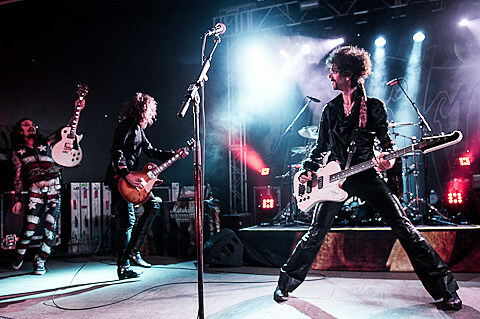 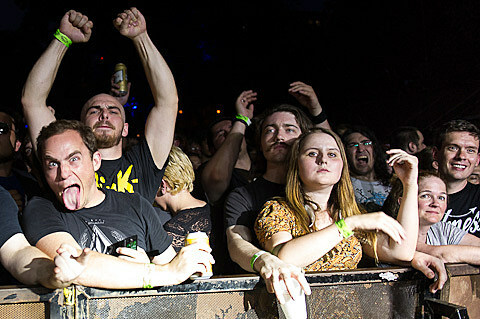 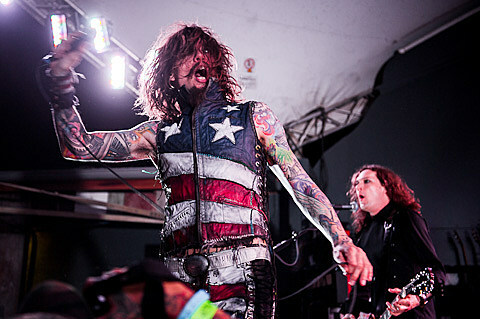 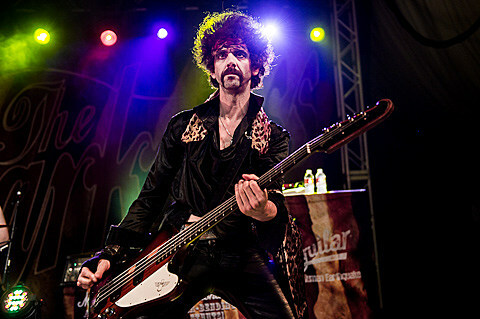 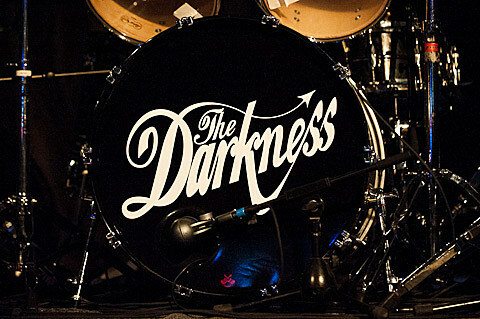 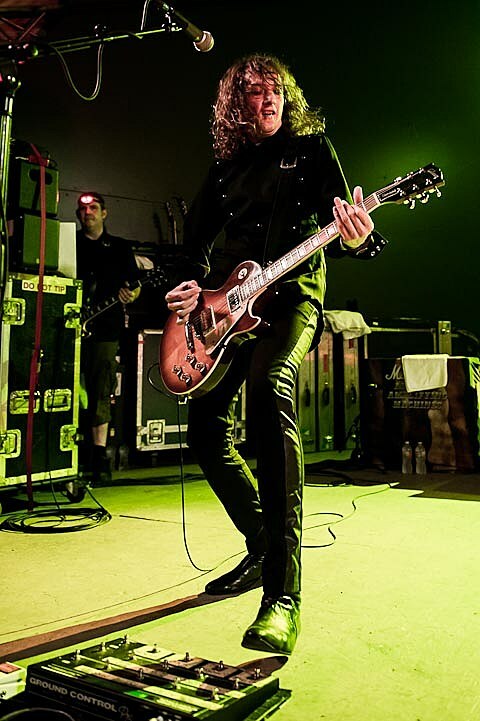 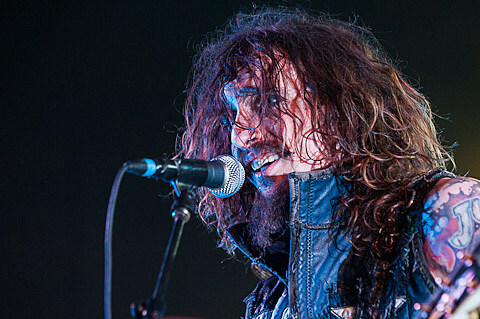 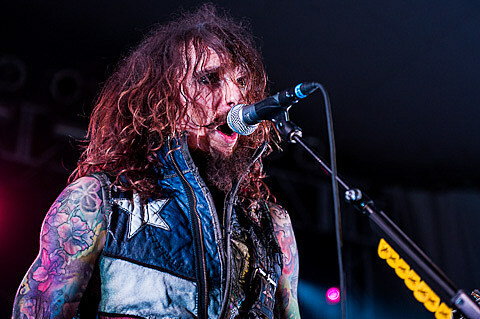 All hail the over-the-top rawkness of The Darkness who just wrapped up their current tour in Dallas on Sunday (5/27). 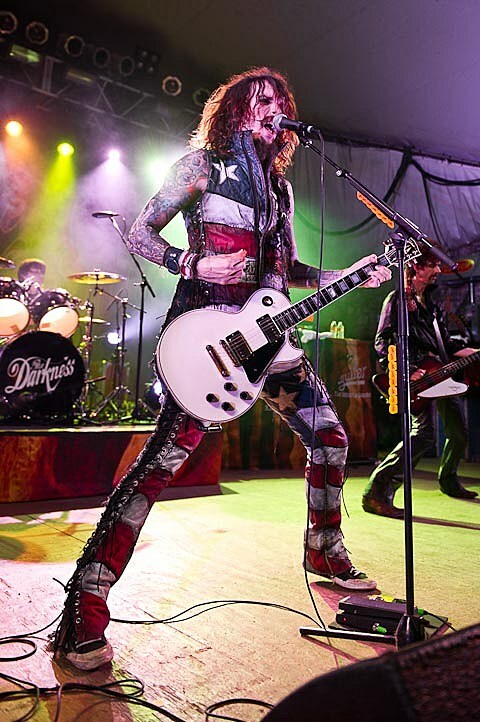 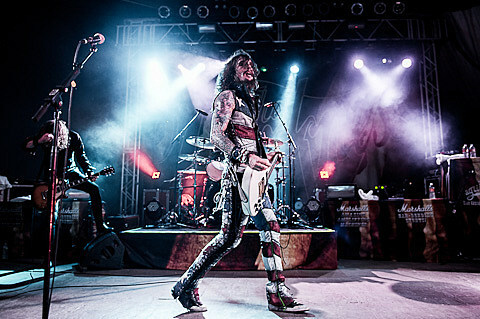 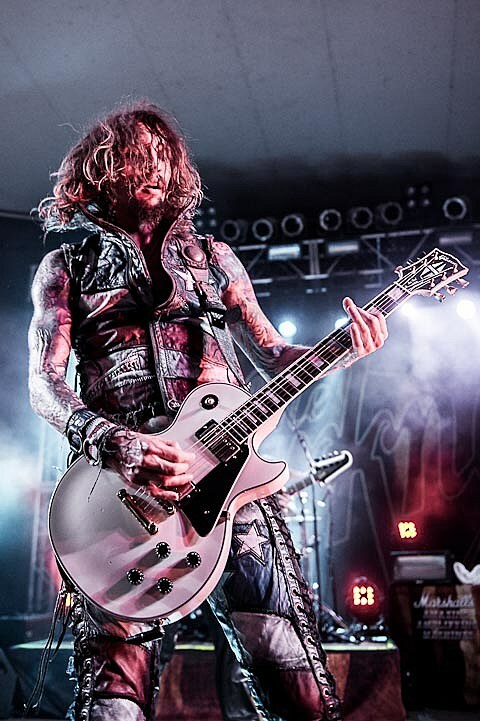 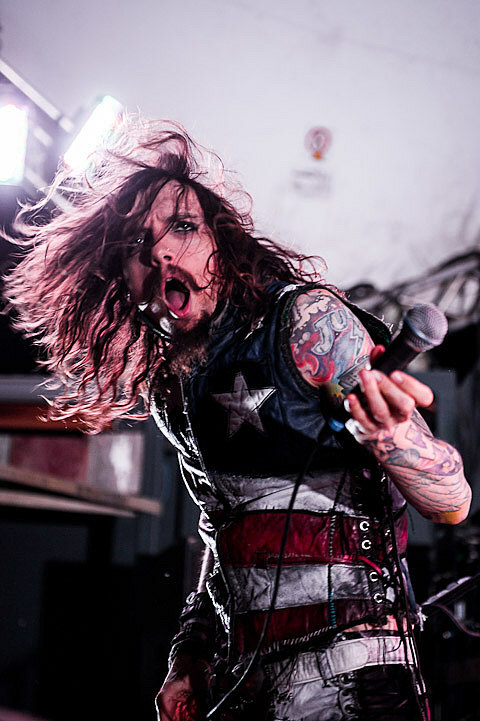 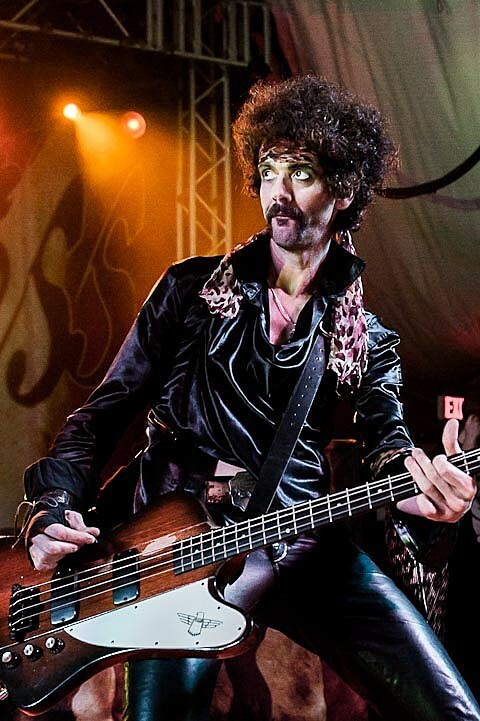 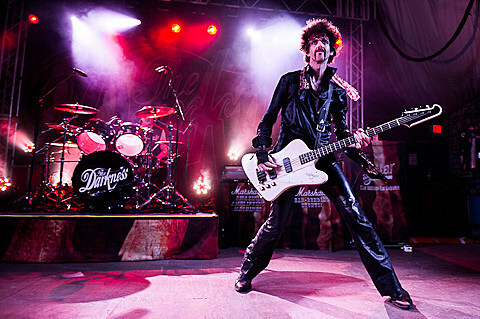 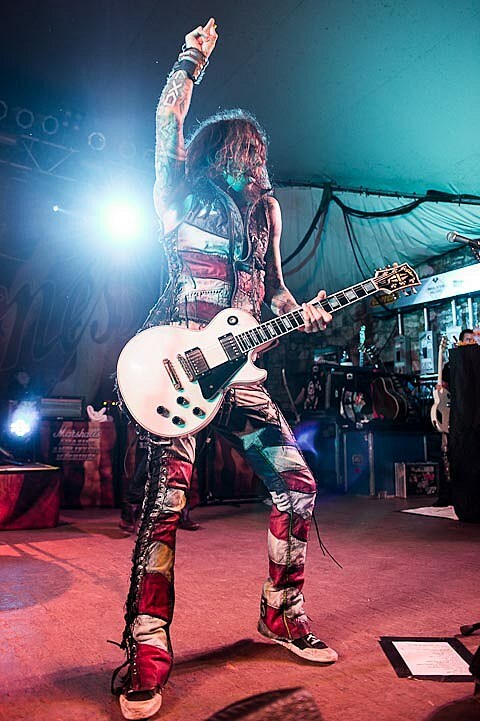 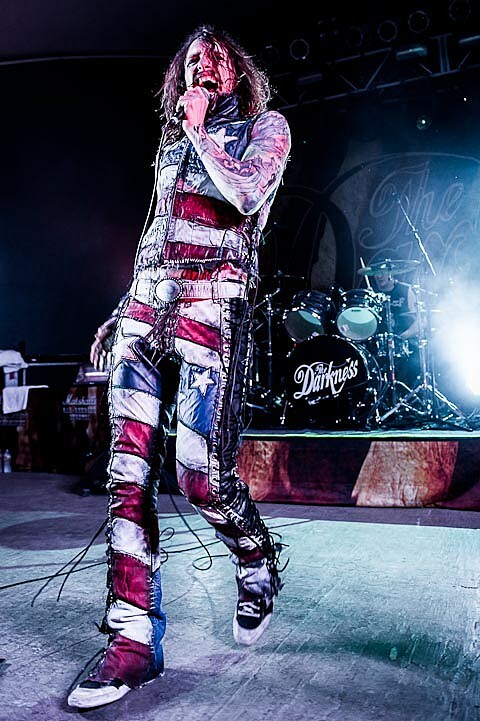 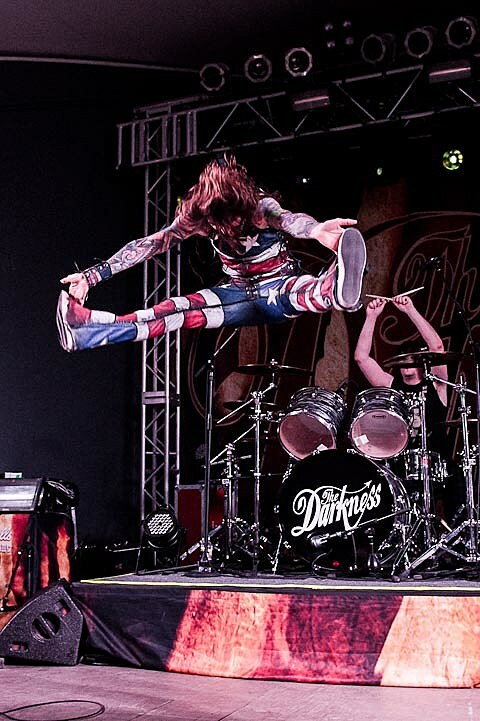 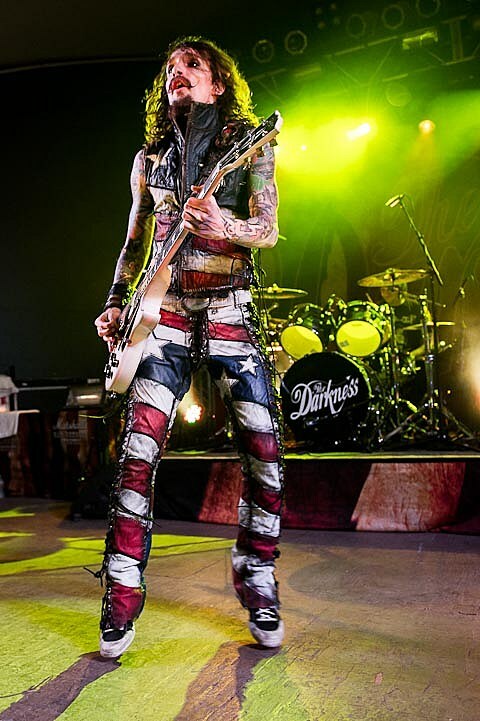 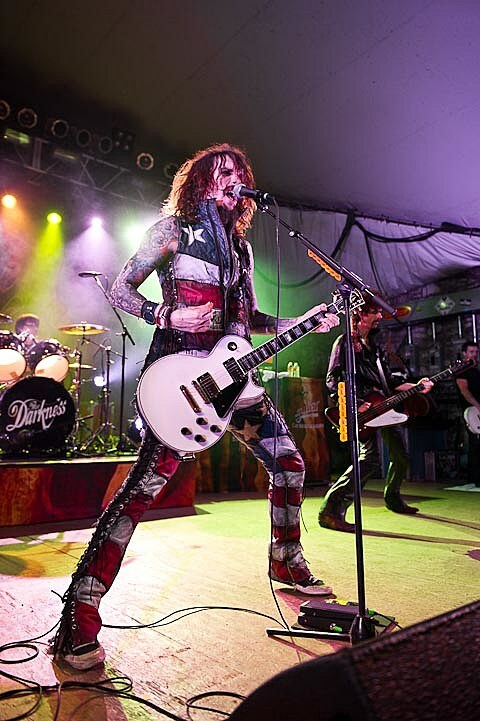 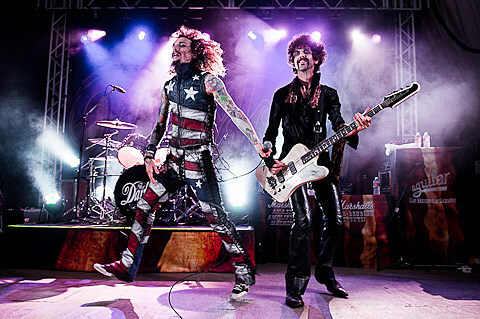 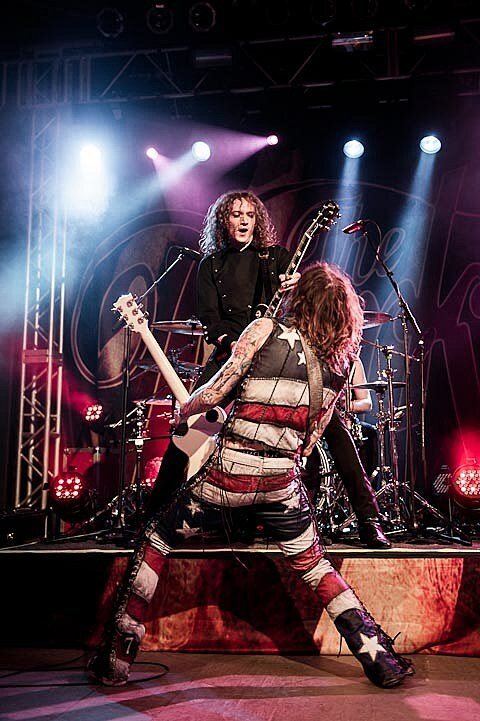 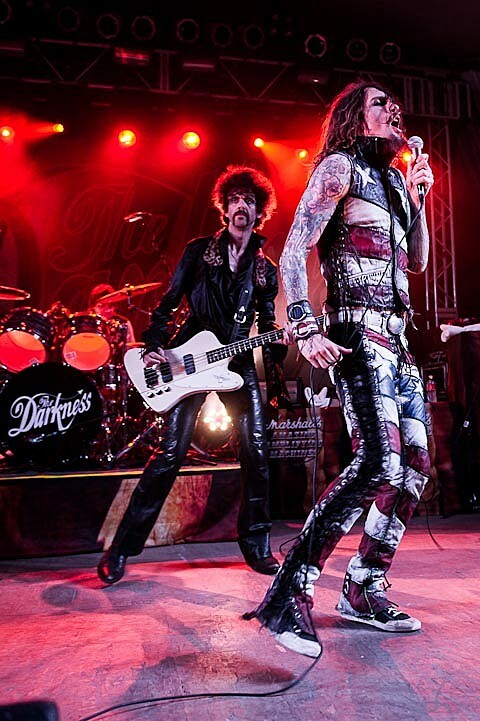 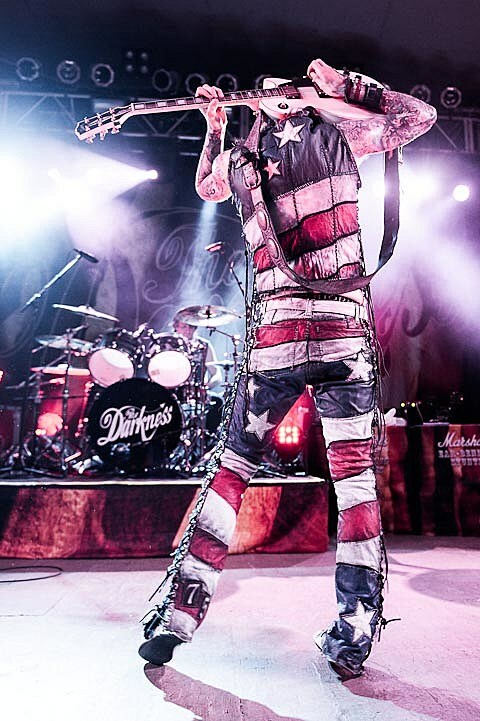 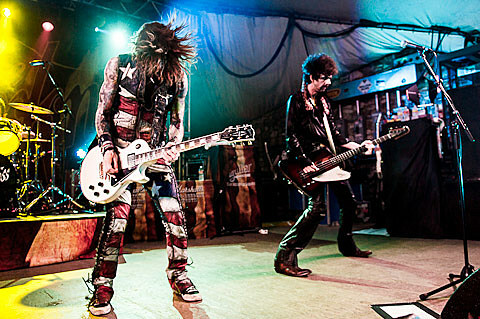 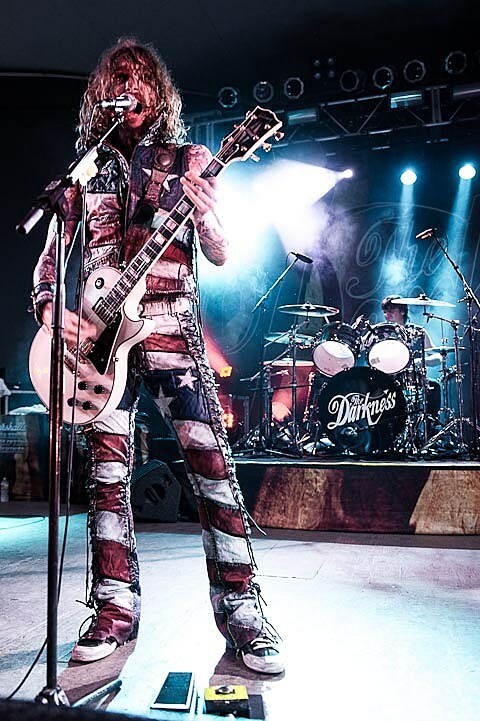 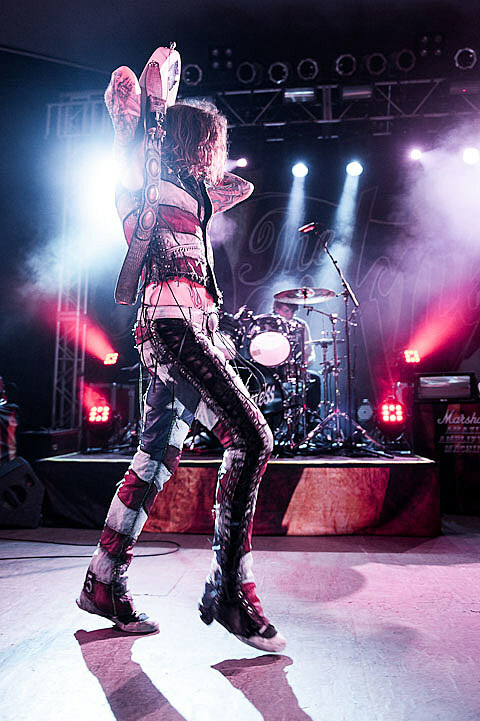 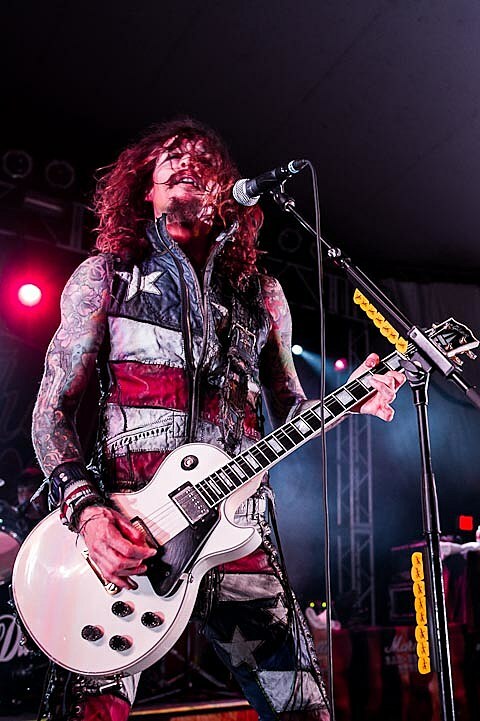 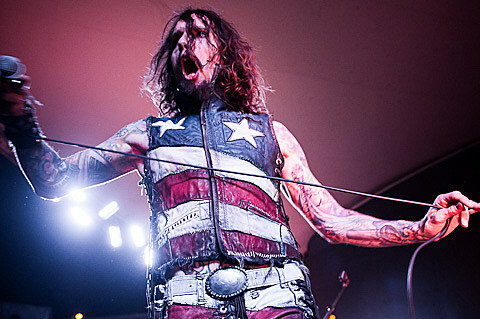 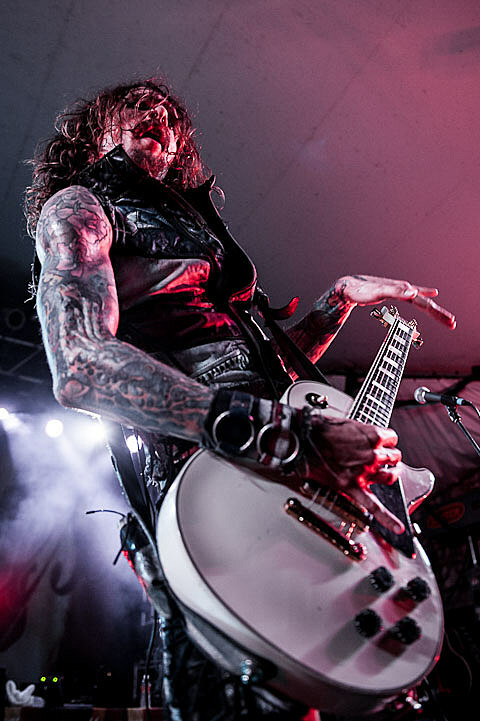 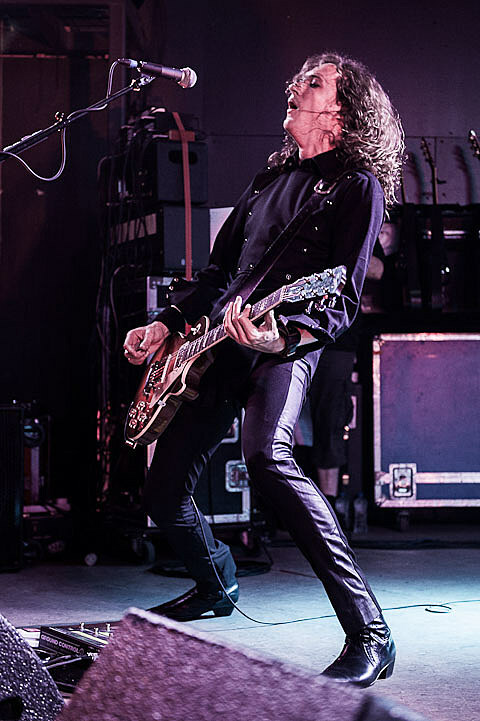 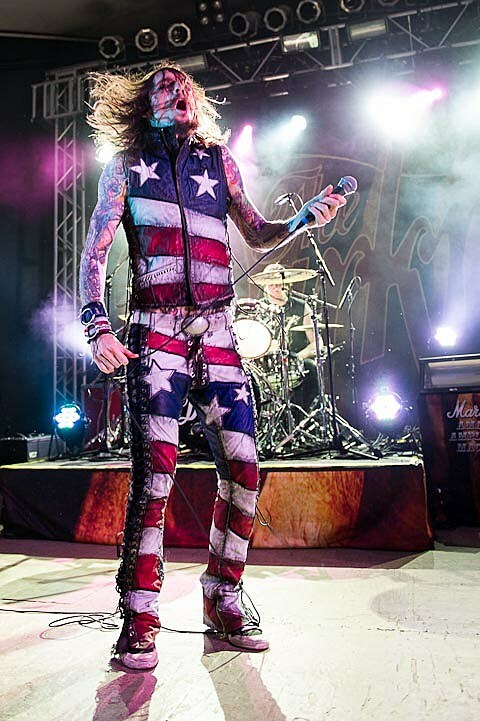 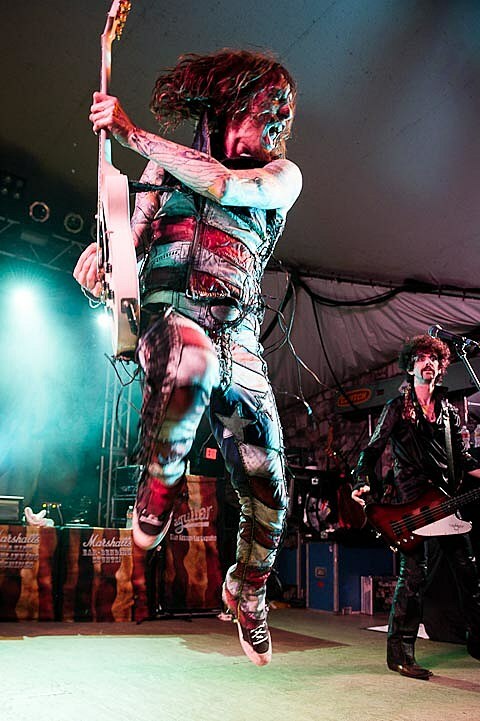 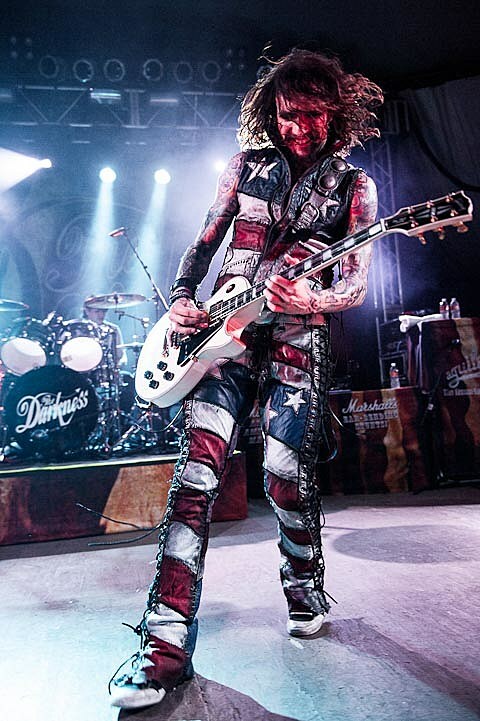 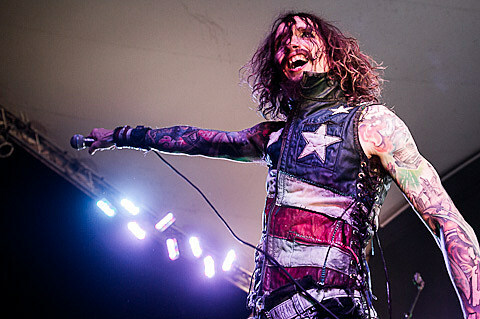 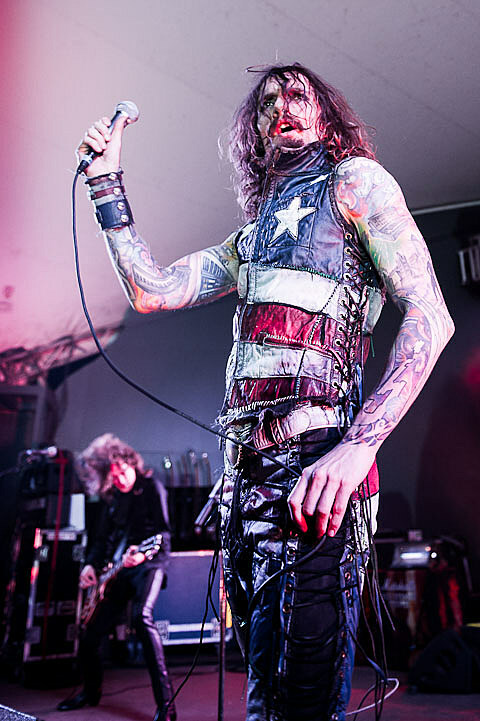 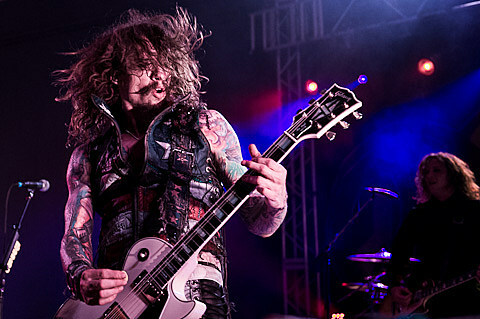 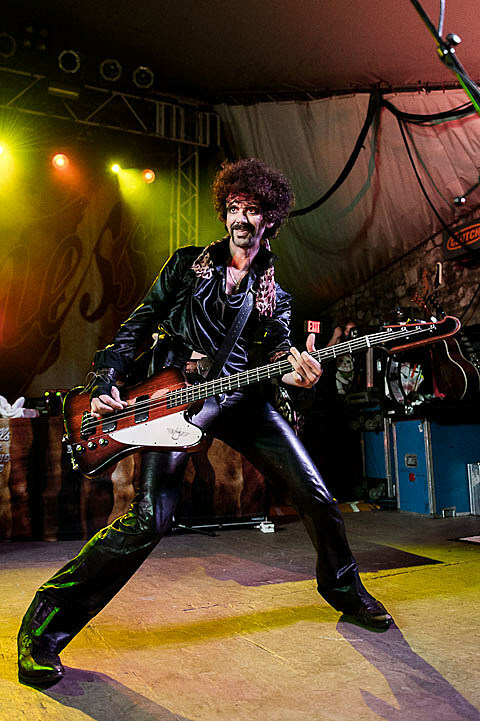 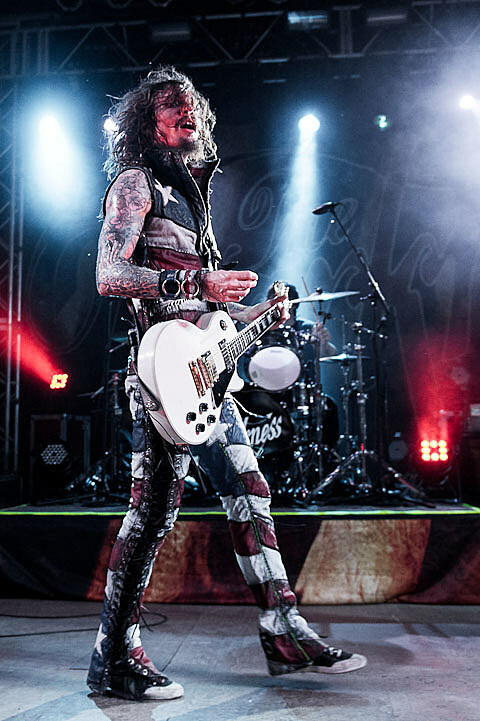 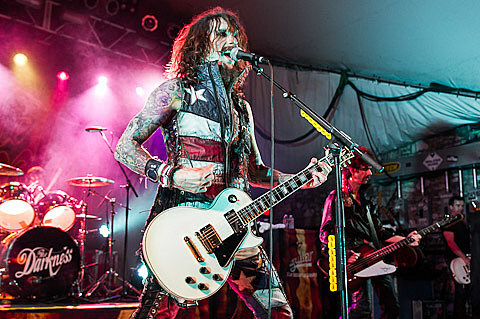 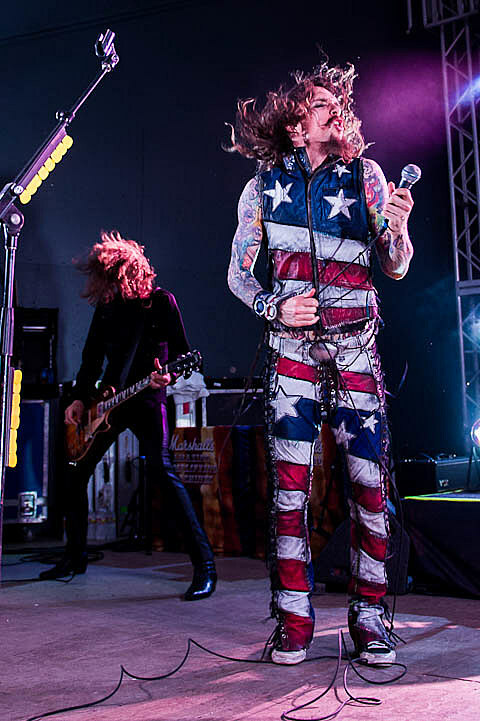 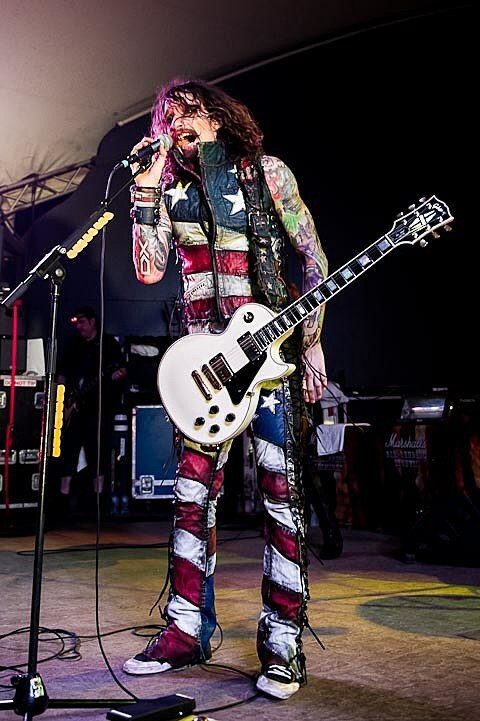 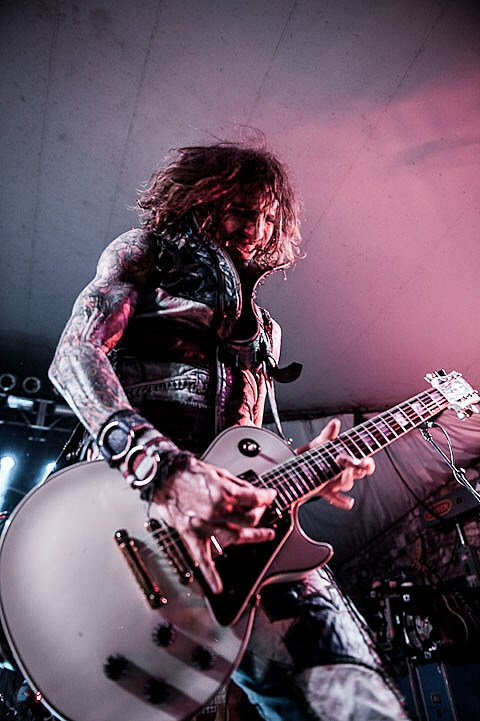 Two night’s prior to that (5/25), Justin Hawkins and the rest of the band brought the riffs, flying leaps, guitar windmills, multiple solos and unbridled bravado to Stubb’s. 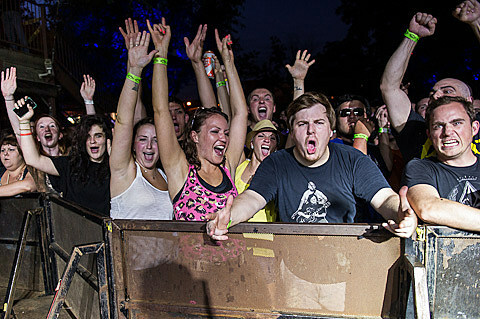 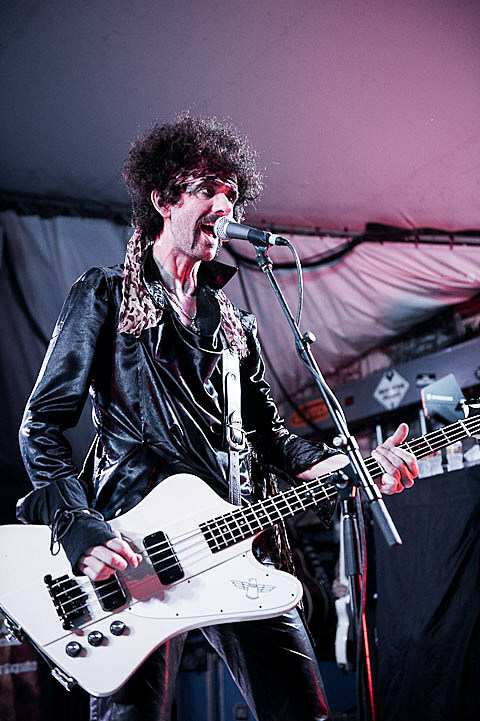 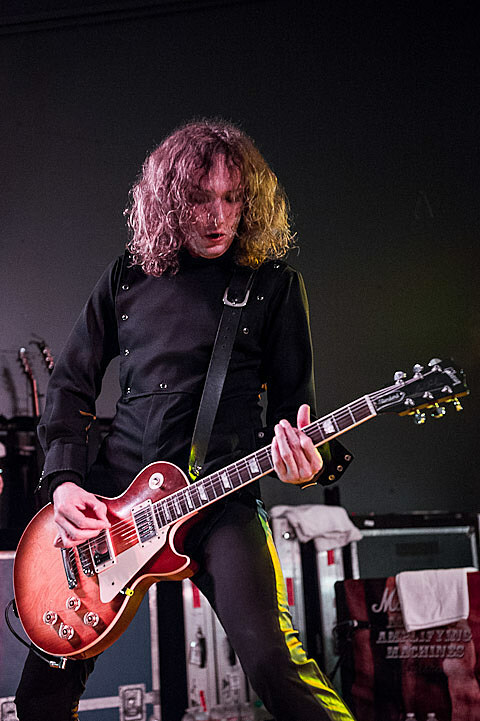 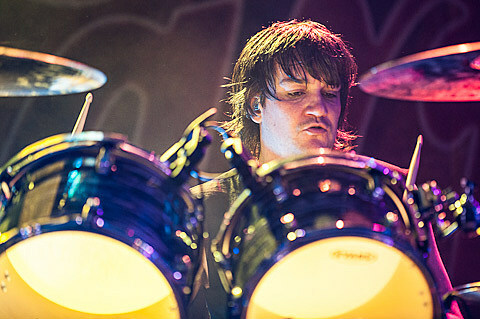 The set included songs from the band’s two Oughts-era albums, plus songs from the band’s new album, Hot Cakes (out August 21), plus a cover of Radiohead’s “Street Spirit (Fade Out). 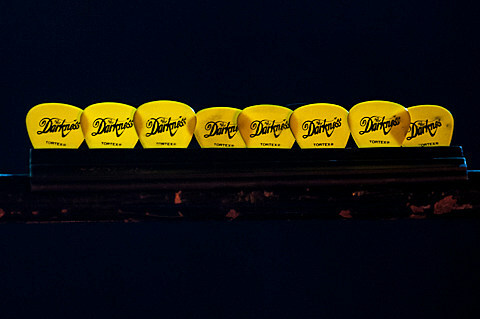 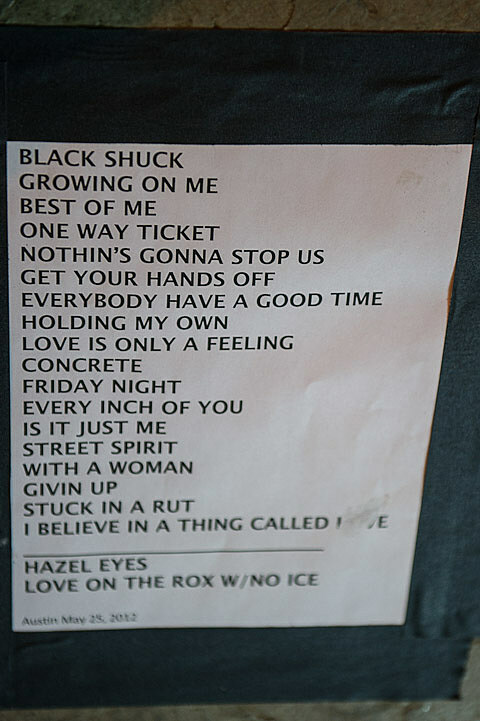 You can check out the setlist and lots more pictures from the show below.